It’s important to crawl before you can run when it comes to changing an organisation from being digitally led to being customer led. 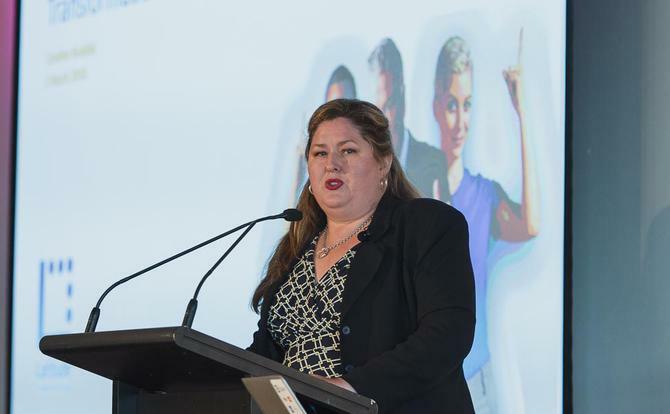 This was one of the key messages from Caroline Ruddick, general manager of marketing at Latitude Financial Services, who spoke at this year’s CMO-CIO-ADMA executive connections event. Ruddick, who led many digital transformations in other organisations before joining Latitude 10 months ago, stressed that customers are just one bad experience away from taking their business somewhere else. Being customer-led in the digital age is therefore crucial. Ruddick also discussed how customer expectations are continually shifting, and that there is no silver bullet. What has helped Latitude, which evolved out of GE only two years ago, has been the ability to rebuild systems from the ground up to make customer obsession its focus. What is clear is customers just want their experience to be easy, and they no longer care about products. As a result, Latitude has needed to switch its emphasis from product-centric marketing, to a customer-led proposition. “You have to make it easy for people. But this is hard. You solve a problem, and there’s a new problem tomorrow. We need to continually be on top of changing customer expectations and customer experience, and that’s going to change from day-to-day,” she said. “As marketing professionals, we are constantly balancing multiple factors. Now, people are expecting to do everything on their mobile. Mobile Web adoption should be over 50-60 per cent; the tipping point has come. “Importantly for marketers, customers don’t care about any company's products. For years, marketers have been pushing the great features and benefits of products, but now customers don’t care. They want what they want in today's environment and if they don’t get it, they’ll click and research and find it elsewhere. Those pesky startups are nipping at our heels, and we have to run faster to stay ahead of them. A crucial aspect of becoming customer obsessed is total organisation buy-in. Ruddick stressed that without top-down alignment behind putting the customer front and centre, it won’t work. “For us, it was going from the digital-led of being efficient and gaining more profit, to how we lead with the customer. How can we shift as a company?” she continued. “We had a massive shift to customer focus, implementing organisation-wide programs. We re-did our strategic blueprint to a very strong customer-led guiding framework. Quite deliberately, our first value is customers first. Then, our key enabler is people first; we realise how important people are to our company. Other programs included an executive team handing out customer quotes and love hearts on Valentine’s Day as part of a 12-day customer program, and setting up listening posts through the organisation where anyone can go and listen to customer calls. Ruddick also said aligning the technology with a customer obsession focus was key. “Because we started from scratch, we were able to move some things from legacy software. We got a DSP very early, and suppressing audiences and we have been driving some parts of marketing stack. Last year, we were still doing some batch and blast communications, so we’re still on a journey there,” she said. It was then Latitude hit a roadblock. “We didn’t have enough capability in our customer analytics area to shift to the pace we needed to be able to personalise,” Ruddick explained. This led to a partnership with The Lumery and putting together a strategy with three elements: Crawl/walk/run. Ruddick admitted the brand is at the crawl stage. “We’ve put in great analytics, a DSP and a marketing cloud we are still trying to fully leverage. We finally got some data structures built, and our first test was in the personalised automated space.” That first test resulted in an 6.7 times increase to ROI in the first few weeks. For Ruddick, ROI come when you start with the customer. “We needed to bring in that technology to drive our business and customer value. But it takes time,” she added.